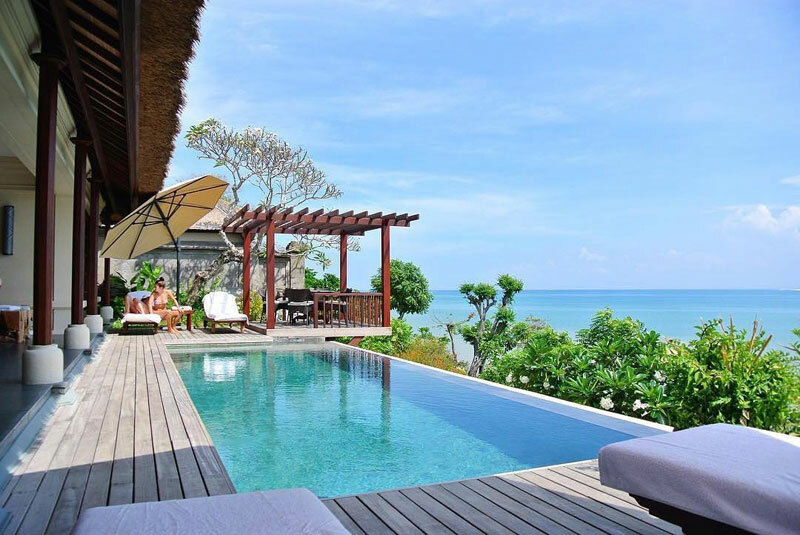 One of the best things to be found in Bali, are the incredibly luxurious villas with spectacular ocean views. Imagine reclining comfortably in your home away from home, to a view of the sparkling Indian Ocean spread out before your eyes. 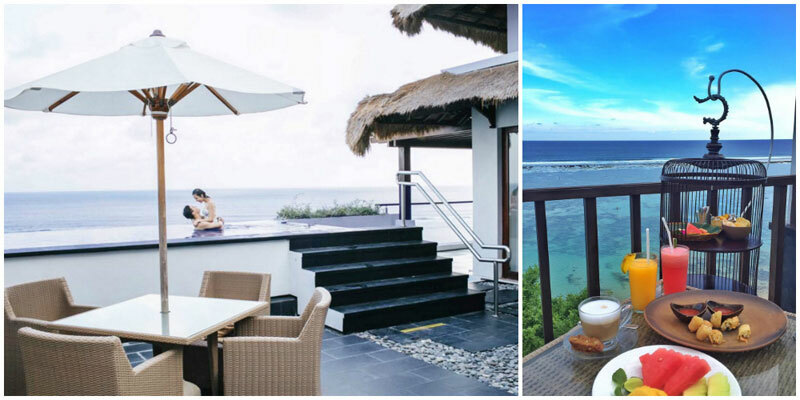 The choice location for a time of relaxation and rejuvenation, there’s no need to head to Maldives, with these amazing stays available right here in Bali. 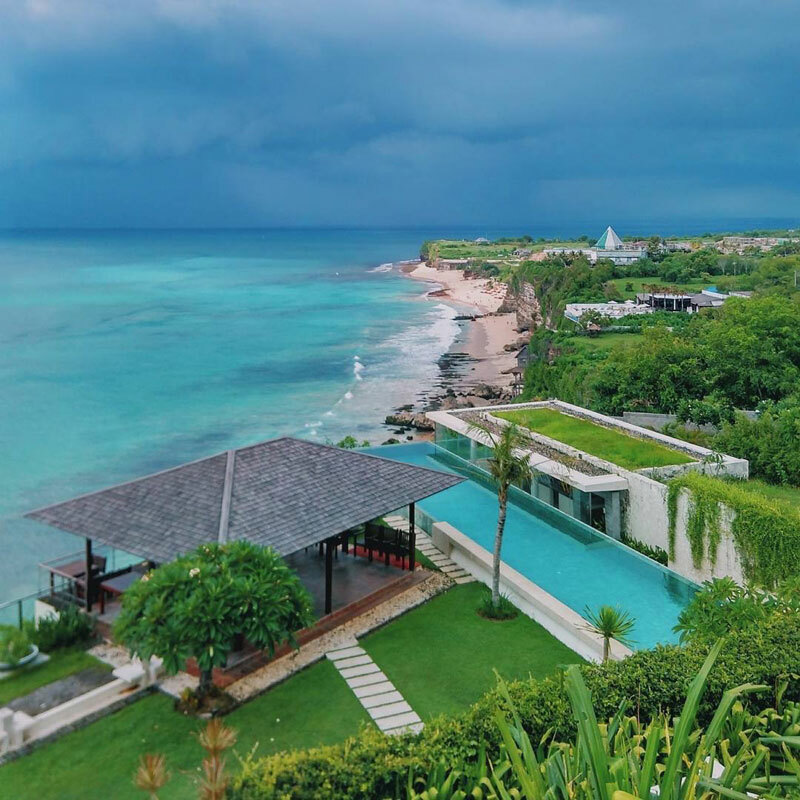 “Imagine Bali before it went public” is a tagline fit for this villa set in Tabanan, on the southwest coast of the island – an area of outstanding beauty with hardly any development. Just like a little oasis in the middle of lush greenery, the villa does the almost impossible job of mirroring the natural beauty of the island. 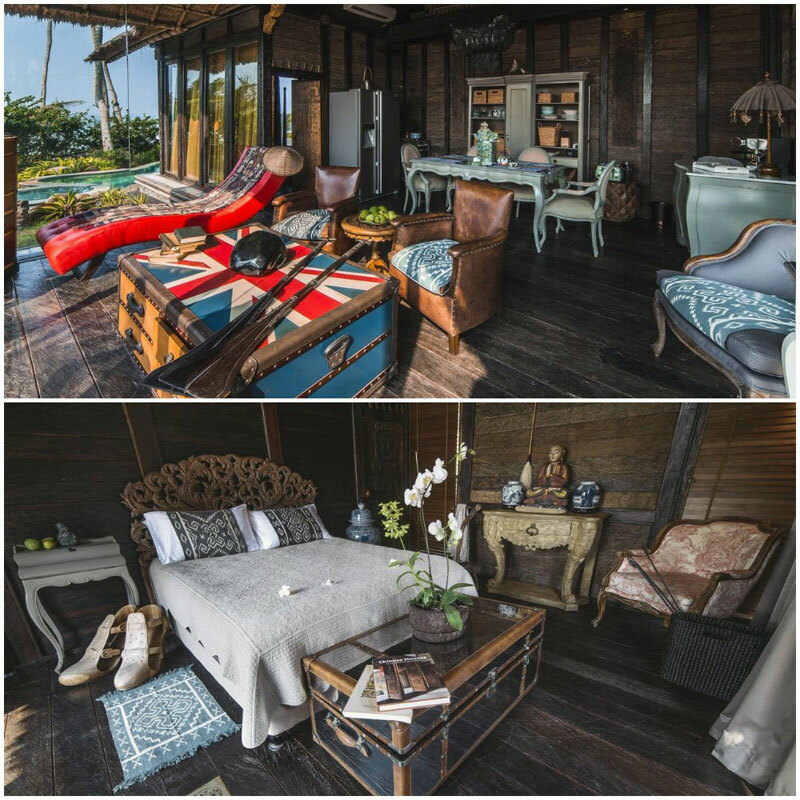 Once at the villa, get ready to be whisked away by the sumptuous views and a mix of traditional Sumatran houses with super eclectic interior – all sorts of bric brac from antiques to contemporary furnishing. This stay is a voyage through the past and present, passing by all the continents! Step out of your room and bliss out with the views from your private pool – it’s the perfect getaway for those looking for a tranquil escape. We bet you will agree that there’s something beguiling about being right on the beach, with the ocean mere steps away and this is why meals at the villa are served right on the shores – your dishes get naturally salted! The villa is as romantic as it’s fun and is fit for a couple, two couples or even a family. Nothing quite compares a family vacation by the beach, especially when it features a private pool and a kitchen for home-cooked style meals! 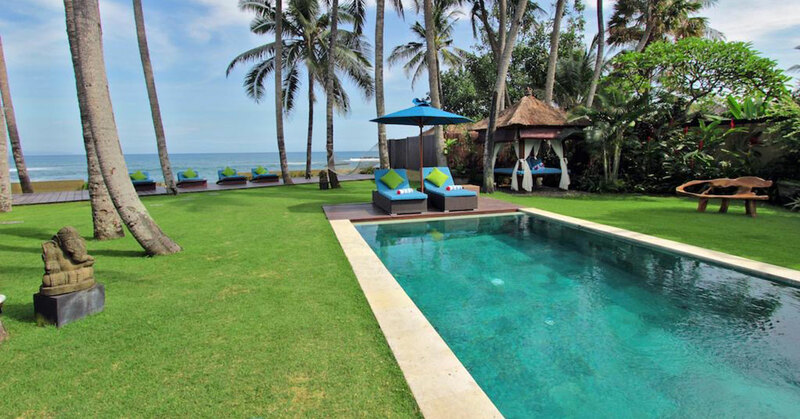 Surrounded by rice fields on one side and 75 metres of beach on the other, Villa Samudra will satisfy the fussiest of guests. If the ocean view isn’t enough for you, you can gaze at Mount Agung, or the islands of Nusa Penida or Lombok in the horizon. 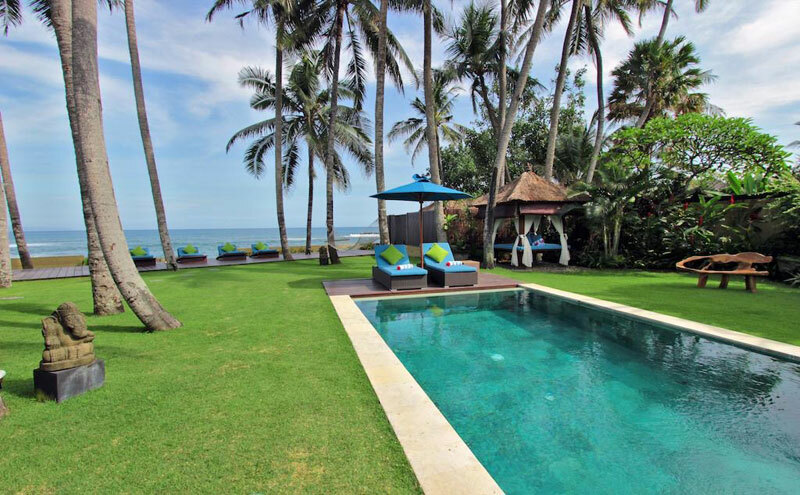 Villa Samudra consists of three bedrooms hidden in the coconut tree garden. 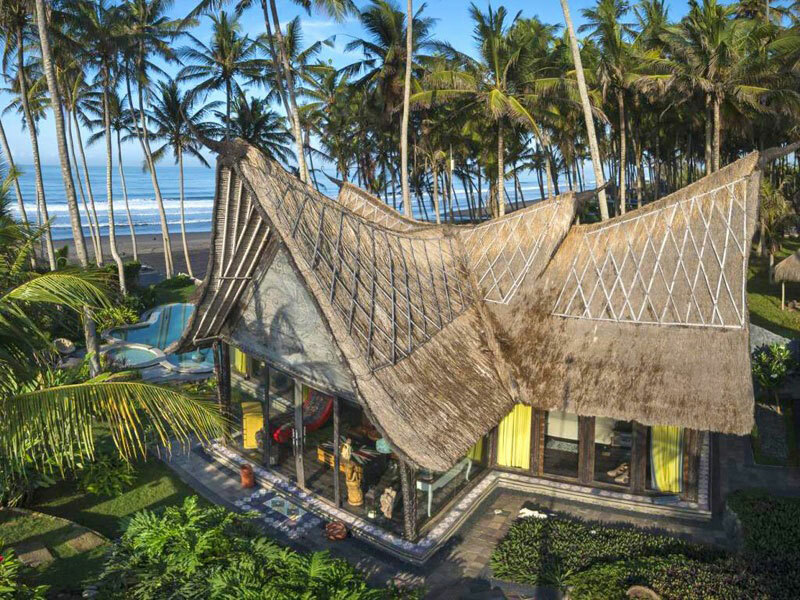 Its modern interior is blended with traditional Balinese elements and beautiful wood work. The 20-metre-long pool is accompanied by a gazebo with a daybed, for those lazy days when all you want to do is laze by the pool with a cold drink. You can watch movies in the comfort of the home theater system, enjoy spa in a private massage bale and soak in the terrazzo bathtub. There’s no better place for intimate weddings and family celebrations as it offers the most exclusive private atmosphere. And imagine dining with the charming ocean view and sounds, gentle ocean breeze, romantic lights and soft music with your loved one. 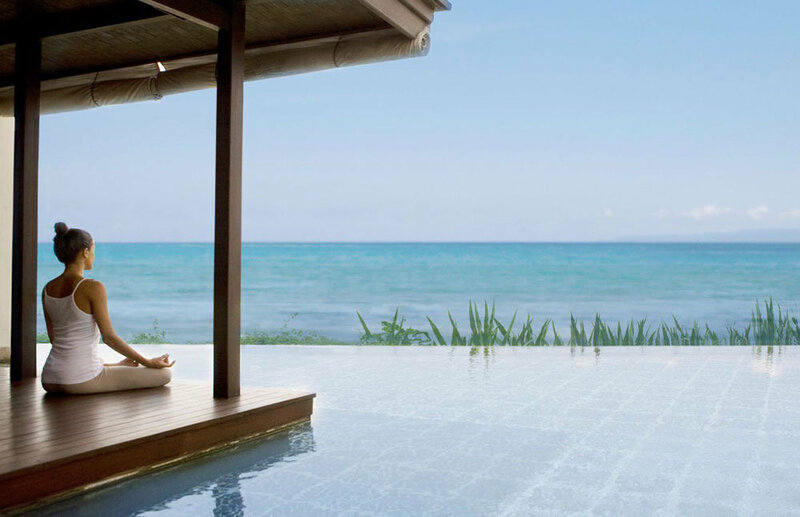 You can even enjoy a yoga class on the beach or a massage under the coconut trees with the ocean breeze. Whether you’re celebrating an anniversary or planning for a romantic break, there’s no better place to spend time together than at Four Seasons Jimbaran’s spectacular one-bedroom Premier Ocean Pool Villa. Not only will you have your own private pool, but you can swim and canoodle the day away while overlooking stunning views of the dreamy, endless blue sea. 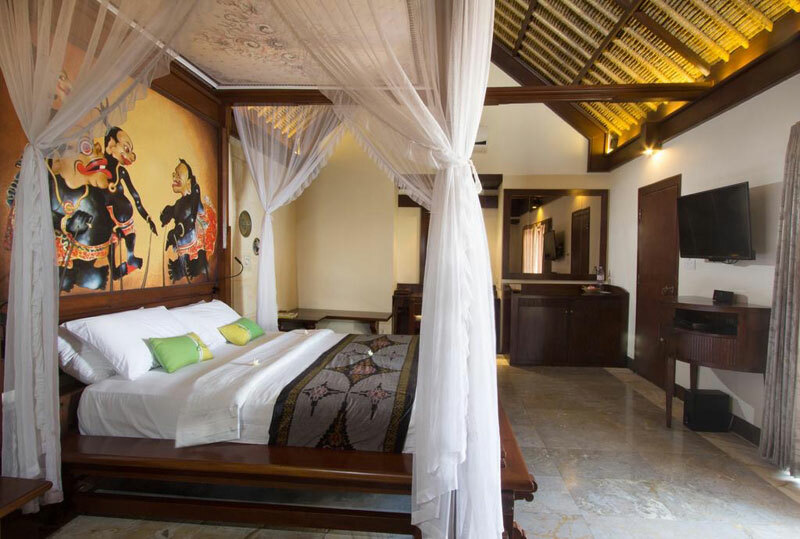 This exquisite and luxurious suite (built in true Balinese decor to create an exotic and authentic ambience!) 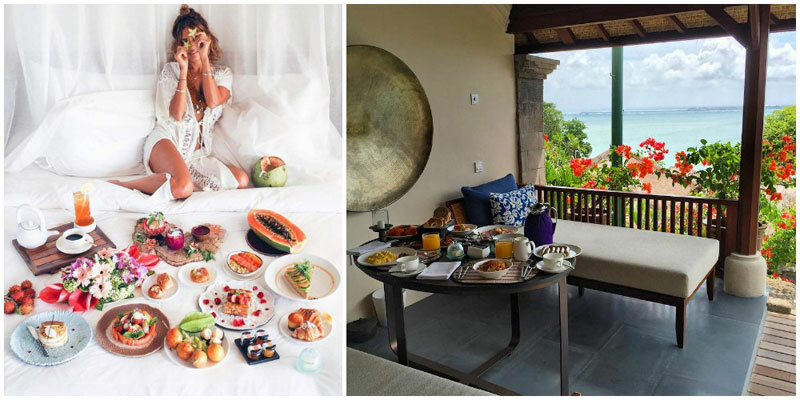 offers a variety of en-suite activities perfect for a honeymooning couple, from private in-villa dining and massages to breakfast in bed. For those balmy nights when you just want to snuggle together, throw open the windows and fill up the vintage freestanding bathtub – perfect for a romantic soak for two. 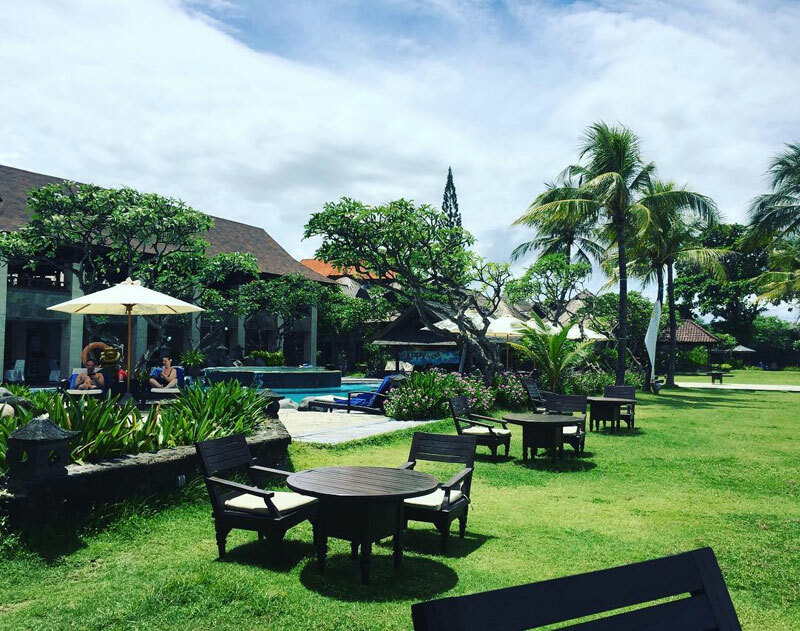 If you’re eager to spend a day by the beach, be sure to check out Four Season’s Sundara Beach Club. 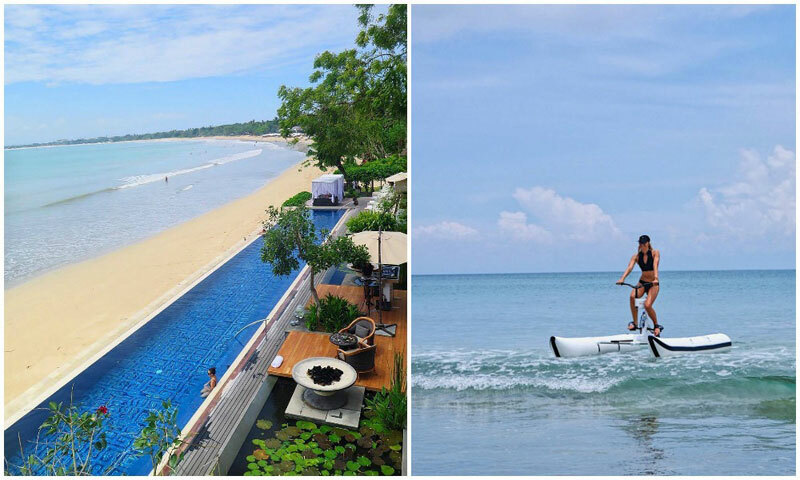 While they offer excellent cuisine, live music, and everything else you could need for a colourful and exciting day, couples who love the outdoors won’t want to miss Sundara’s new pastime – waterbiking! 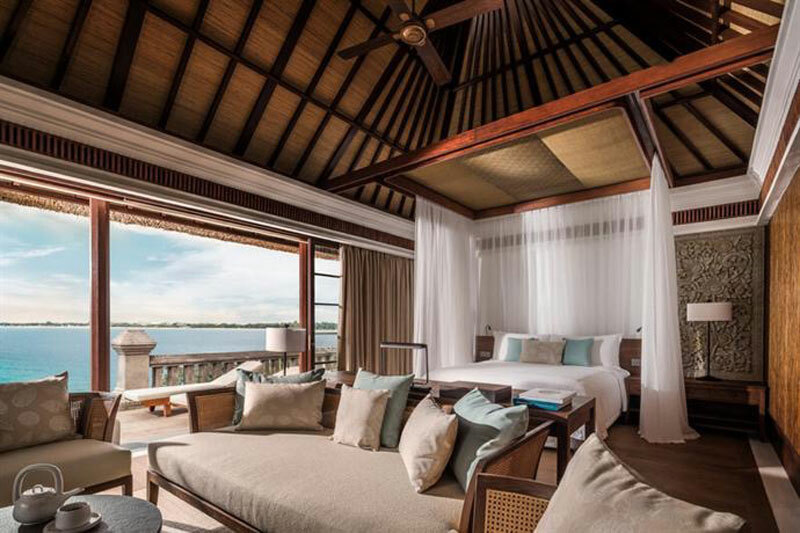 For couples travelling in groups, check out the resort’s newly-launched Royal Two-Bedroom Villa, or the Imperial Three-Bedroom Villa. Who doesn’t love double or triple dates every now and then? 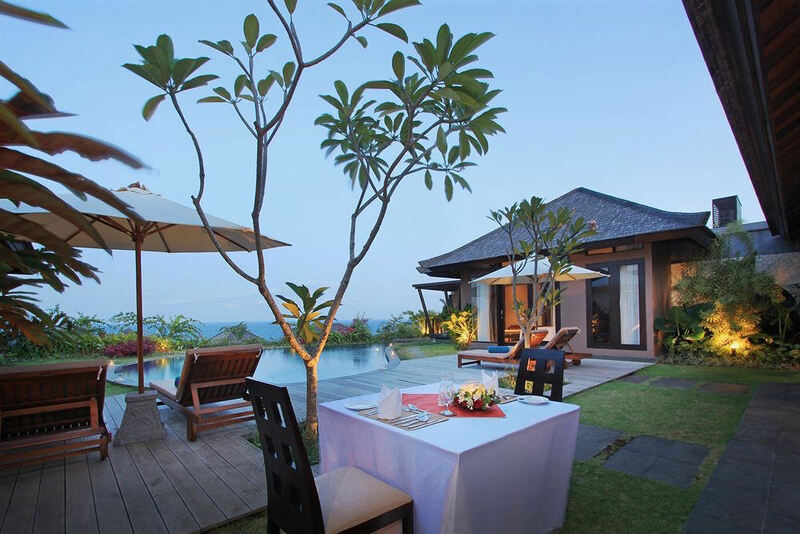 Tucked away on the hilltop of Uluwatu, near Uluwatu temple and famous surfing beaches as Blue Point, Padang Padang or Bingin, Hidden Hills Villas provide the privacy ideal for couples. 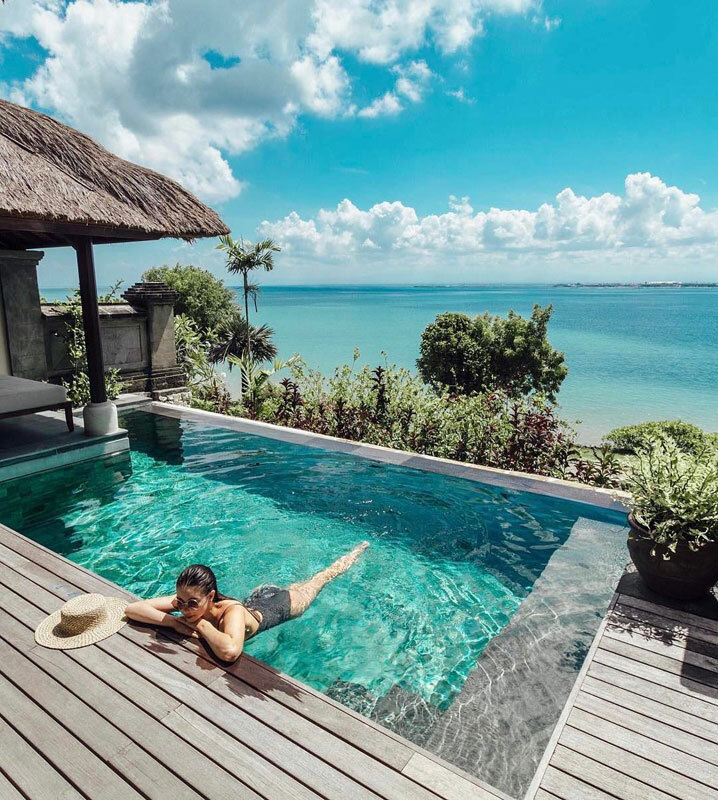 The resort consists of five luxurious private villas, each with their own private swimming pool, lush garden and stunning 180-degree ocean view. 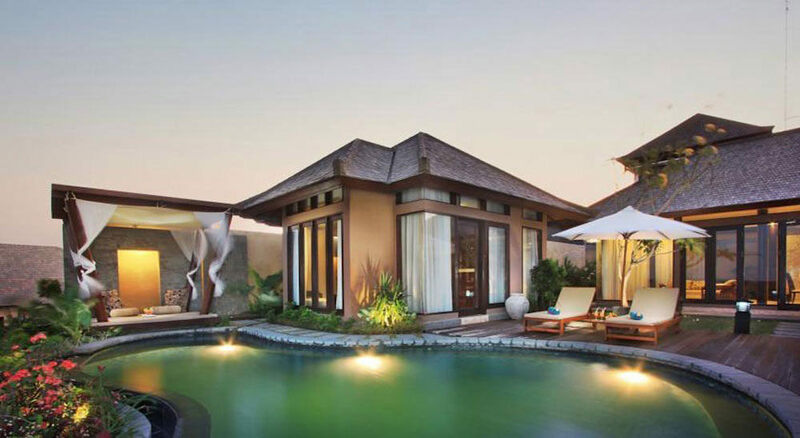 Each of the villas has its individual characteristics and is inspired by different cultures. 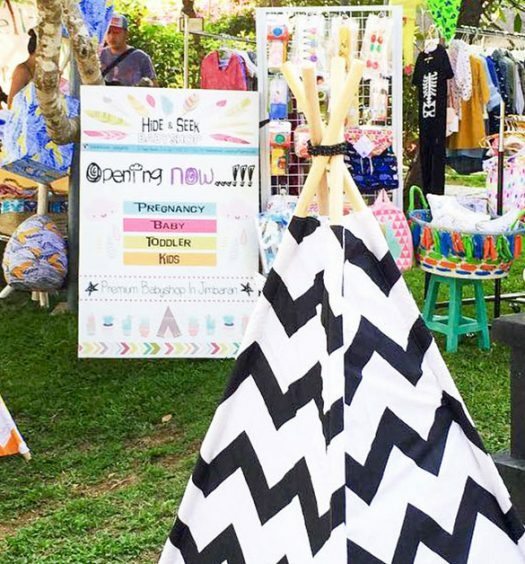 To illustrate the cultural diversity, design elements from all over the world are used. Still can’t feel the holiday vibe? The calming combination of white and blue will take you to Santorini, at the villa with the same name. The bright and spacious Villa Santorini has a luxurious king-sized bed that faces the ocean, so you can wake up to the ocean view every day. For an oriental touch, try Villa Marrakesh, which is decorated with a sensual interior, wooden furniture and beautiful oriental patterns. The best part comes with dusk falls and all the romantic lights are turned on. That’s the best time to enjoy a romantic swim in the lighted pool with your sweetheart. Combine that with a candlelight dinner, cocktail at sunset on the verandah or barbeque in the garden, and you’ll have the perfect couple vacation. 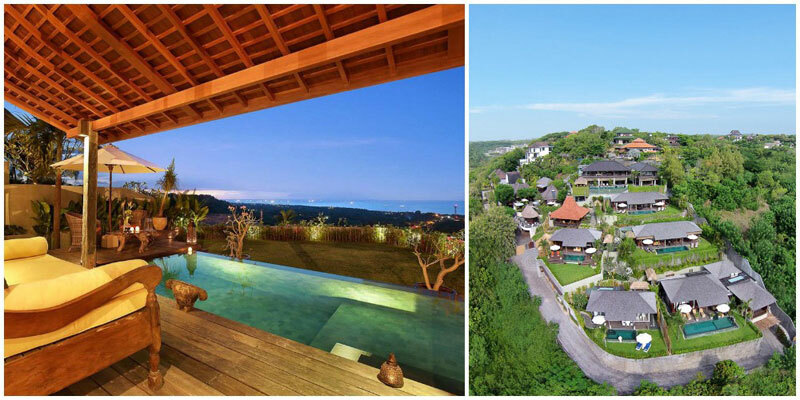 Top it off with a massage in their traditional Javanese spa villa or enjoy it in the privacy of your own villa. 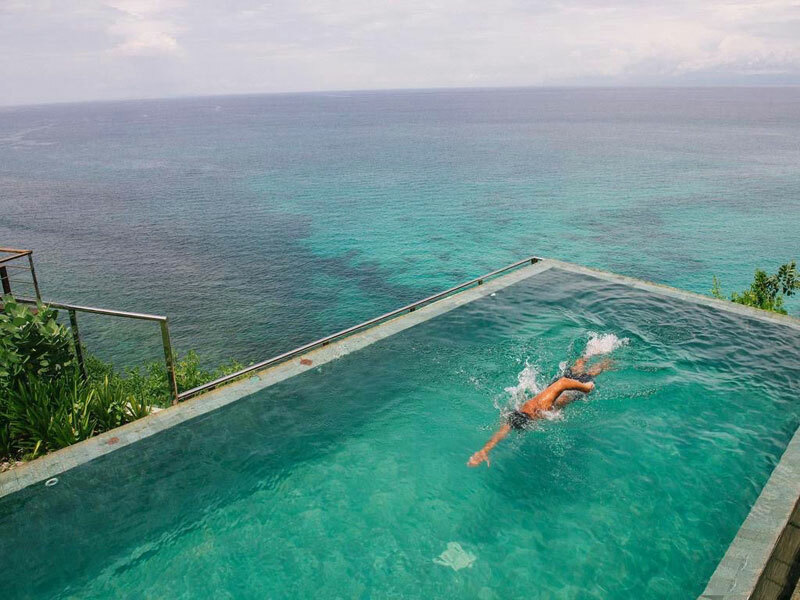 When you step into Nomina Villas Pecatu, the first sight you’ll be attracted to is the infinity pool stretching to the ocean. It’s almost impossible to resist the temptation to take a dip! 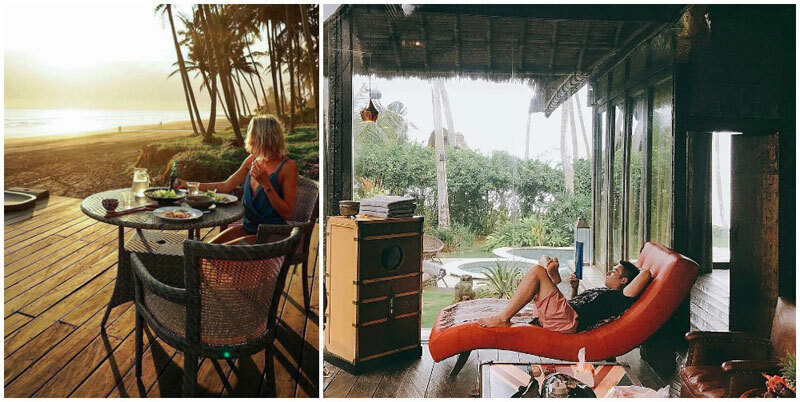 This luxurious tropical retreat is located in Uluwatu, near the famous surfing beach Padang Padang and Bingin Beach, promising high quality comfort for you to relax in after a long day packed with activities. 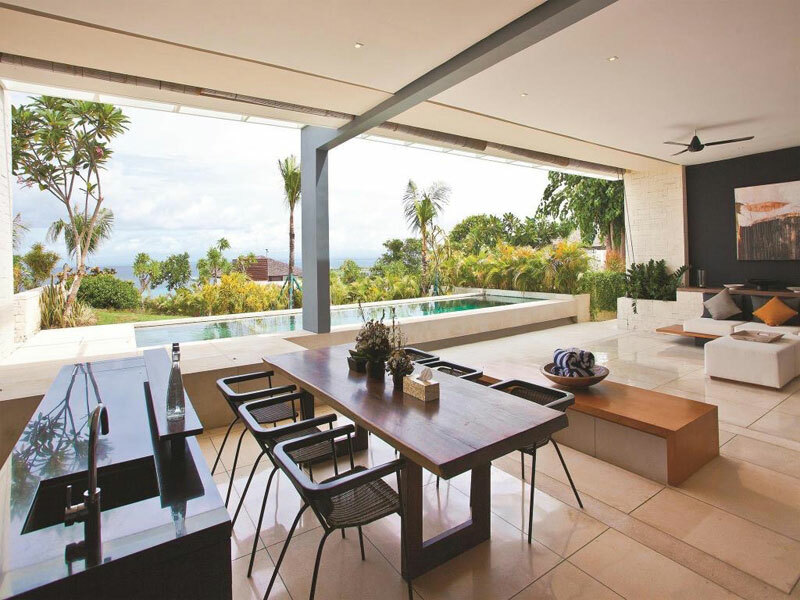 If you want to be closest to the ocean, select Villa Apui, which is designed in a modern, minimalistic style, so it’s very spacious and bright. 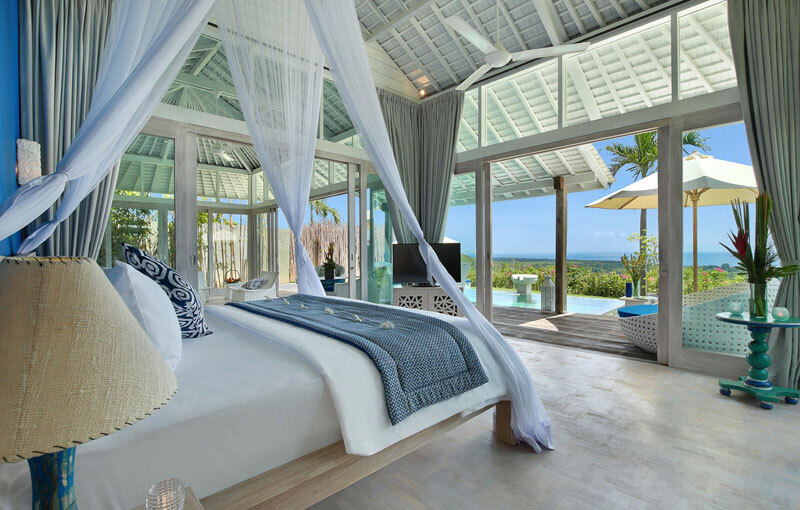 In the glass-walled bedroom, you can enjoy the luxurious view of the sea and pool from the comfort of your bed. 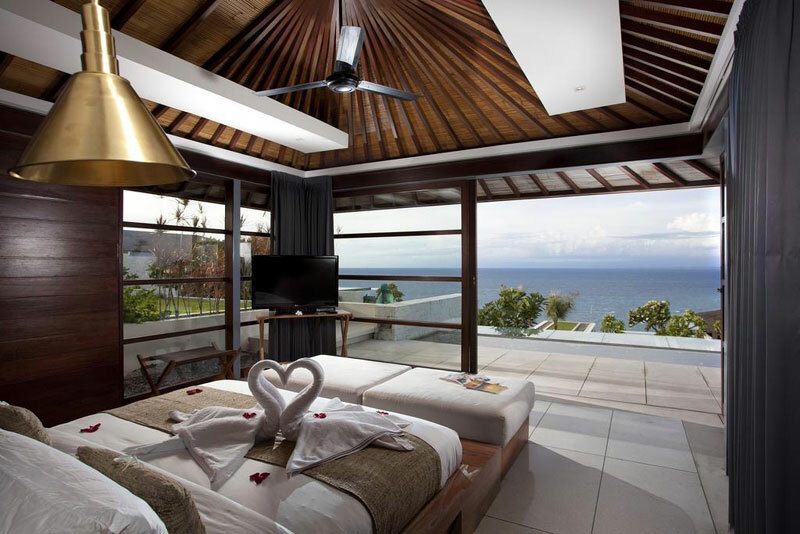 Imagine waking up to this view as the sun rises from the horizon! 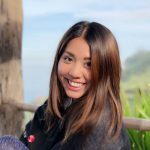 If you love locally produced, herbal and natural spa products, you’ll love Spa Ray, which uses all of those, combined with traditional Balinese techniques that will revitalize your body. 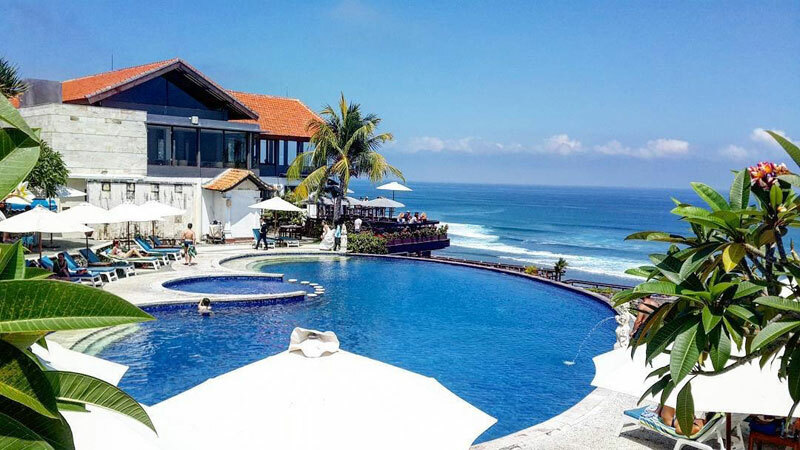 Directly in front of Batubelig beach, you will find a tranquil resort crafted of local stone and wood, surrounded by tropical romantic garden with fountains and statues. 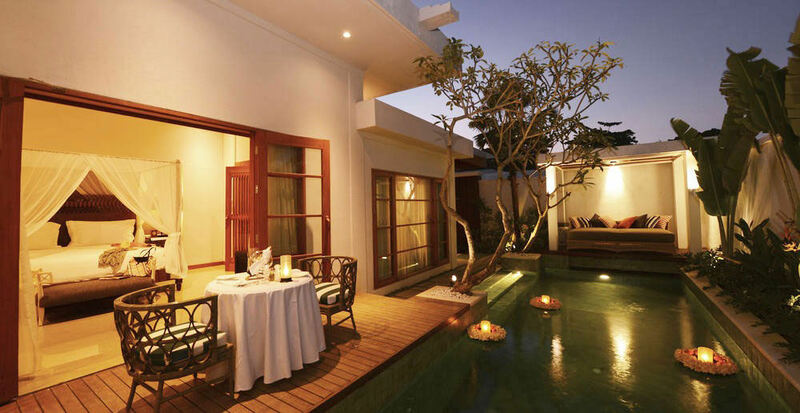 The Balinese-style villas in Grand Balisani Suites are equipped with locally produced fabrics and classical decor. 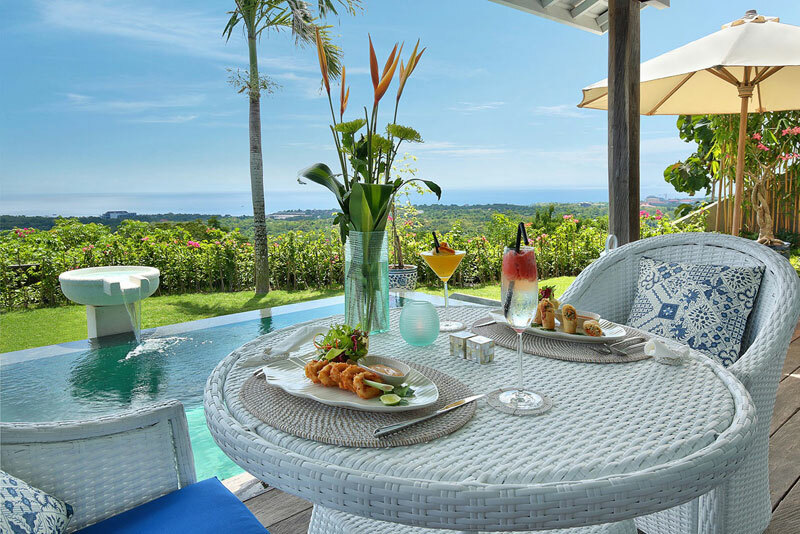 For the best experience, choose Sani Villa, which gives you a charming view of a lush garden with the infinite ocean beyond. 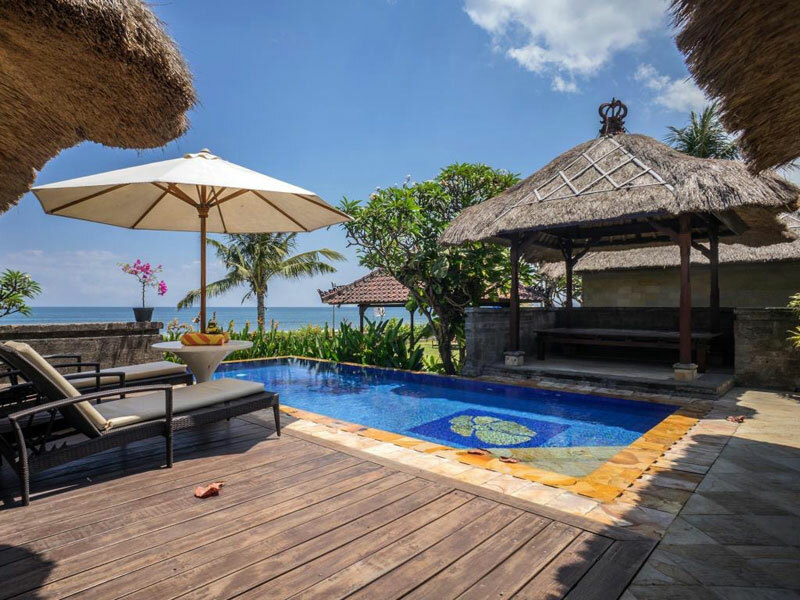 The villa is equipped with a comfortable king-sized bed, a Balinese gazebo and your own private plunge pool by which you can rest your sunbed all day long. What about a romantic horseback ride by the beach? 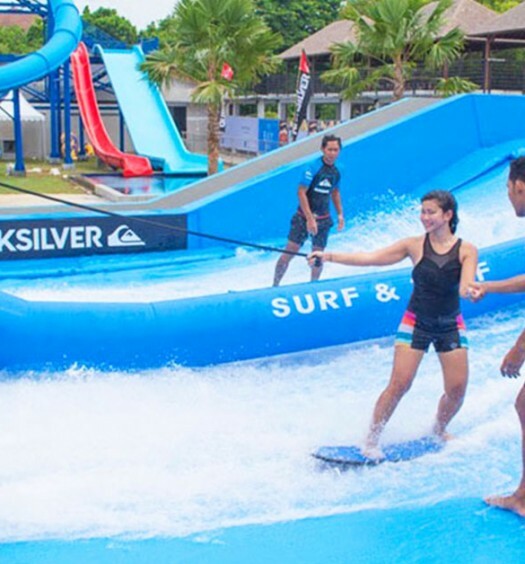 Ask the staff and they will arrange this for you, together with other recreational activities and trips. When dinner comes, head to Kamboja Restaurant for an exclusive dining experience with a stunning view of sun sinking into the reflecting pool. 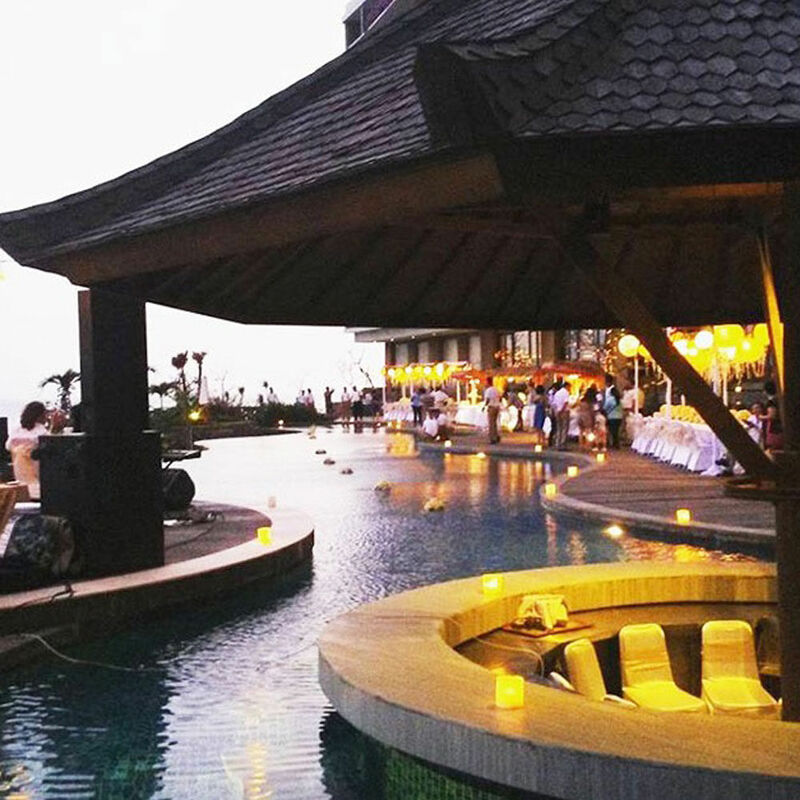 Another option is the Turtle Open Stage, where you will be entertained by Balinese dancers while enjoying your dinner (based on prior request). 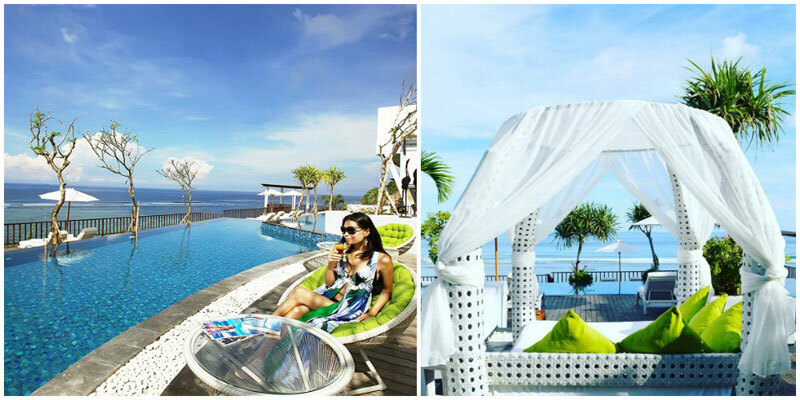 At the edge of the cliffs in Uluwatu lies a resort that offers a beautiful ocean view. 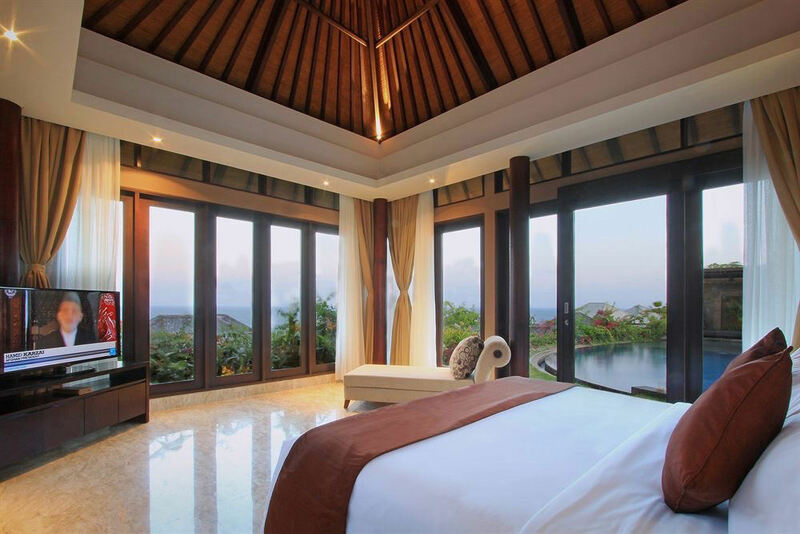 Each of these luxurious and stylish villas provide you with good privacy and comfort. And when you are in love, each holiday is like a honeymoon. 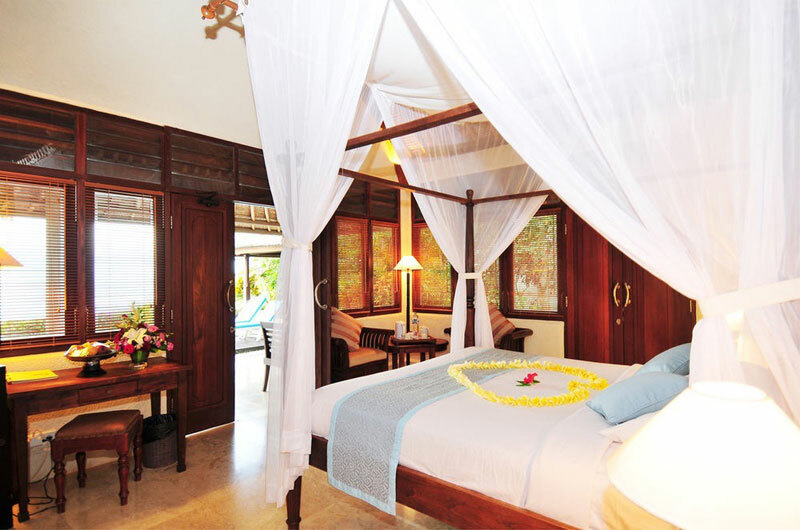 So for couples, you can opt for the one bedroom oceanfront honeymoon villa equipped with jacuzzi and wooden gazebo. If your private plunge pool is not enough for you, there are two more larger pools on the property where you can float around in. 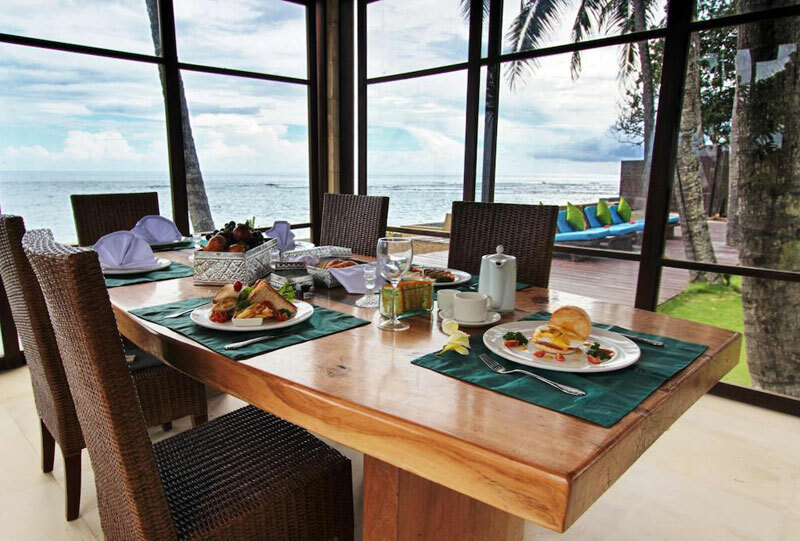 Enjoy your meals with a panoramic ocean view at Blue Terrace, a restaurant with a concept inspired by Japanese architecture, which offers international, Asian and Indonesian cuisine. If you fall in love with this cute place, why not consider holding your wedding in their romantic oceanfront villa? Imagine saying your eternal vows in the stunning Blue Point Chapel, with creamy white walls and the azure ocean in the background. At this all-inclusive beach resort, you’ll find an oasis of peace and utter luxury awaiting. To make your vacation truly unforgettable, book a stay in their ocean pool villa, that is as spacious as it is luxurious. Opulent design meets oceanfront views to give you an intoxicatingly romantic vacation home. 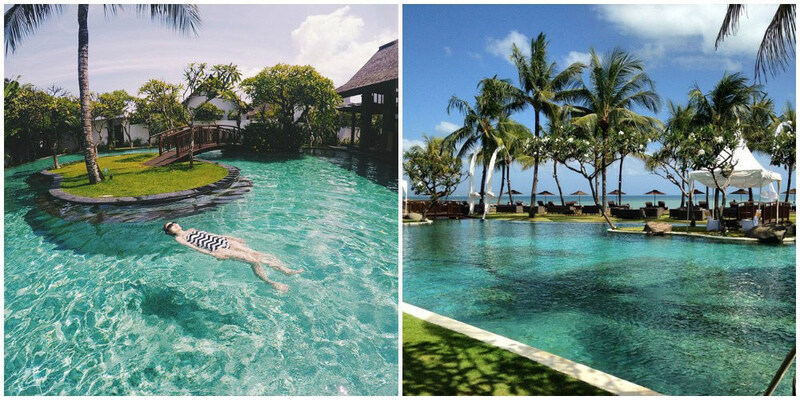 Make sure to spend time in your private infinity pool (yes, private infinity pool!) 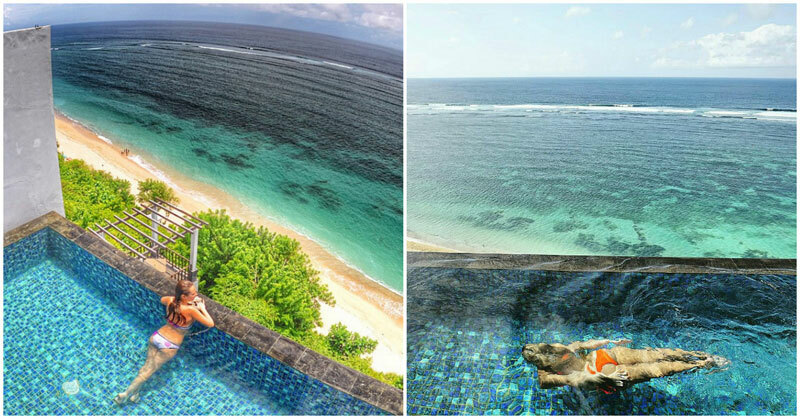 enjoying some intimate time together, while taking in the glorious view from your Penthouse Pool Villa. When you’re craving delicious morsels, simply head down to Rempah-Rempah Restaurant where an Asian-Mediterranean feast will delight your taste buds. 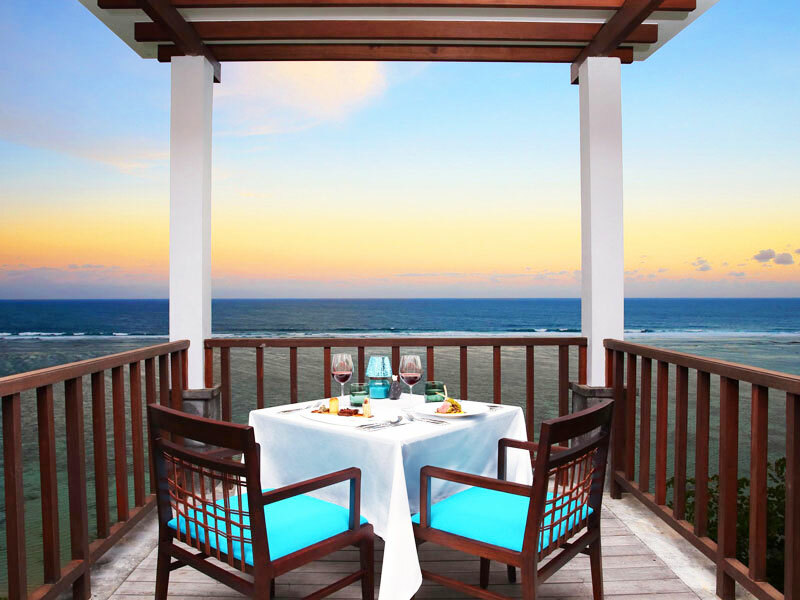 If European cuisine tickles your fancy, head to Crystal Blue Restaurant – and indulge in European dining with a view of the ocean too! After, check out Ring of Fire Pool Bar for some after dinner drinks. There’s a selection of great cocktails and mocktails waiting to quench your thirst for tipple. 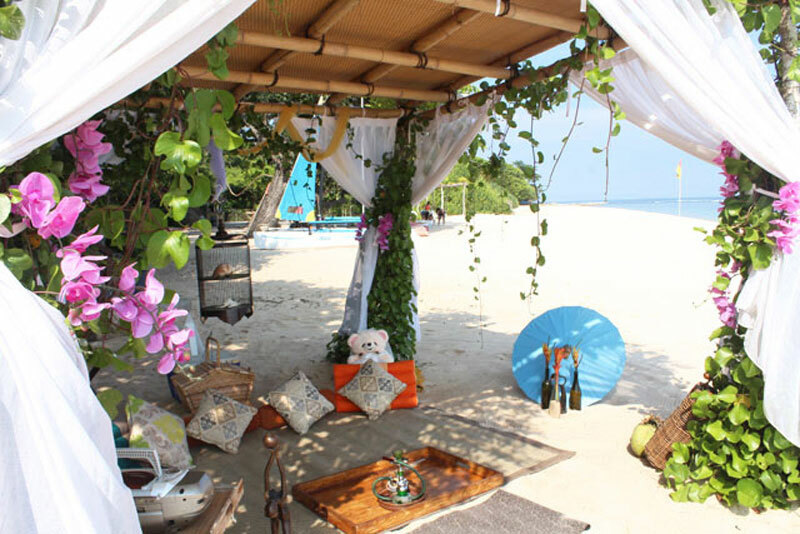 And if you’re looking for an indulgent afternoon tea experience, try the Luxury Beach Picnic. Yes, it’s as good as it sounds! The whimsical set-up provides privacy for those special moments, grand views of the Indian Ocean, and modern comforts – your date on the beach can hardly get any more romantic. 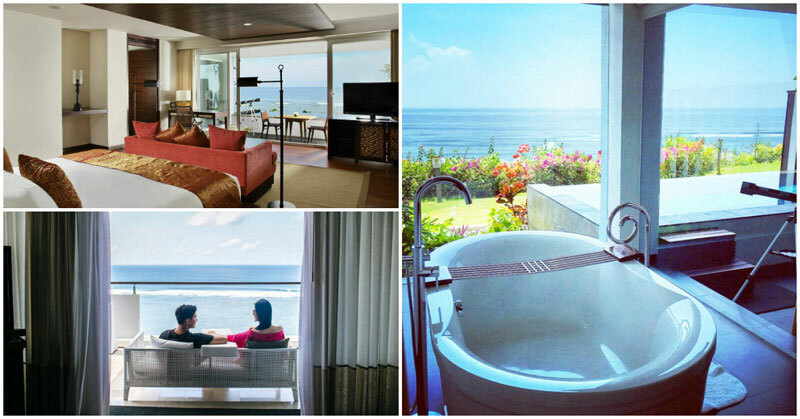 If you’re interested, opt for the all-inclusive concept offered, which aims to thoroughly pamper you. Unlimited food and beverages, 24-hour butler service, your choice of Samabe Signature Activities, free WiFi throughout the resort, and a Samabe original gift – just some of the things you can anticipate for a memorable stay at this truly wonderful resort. 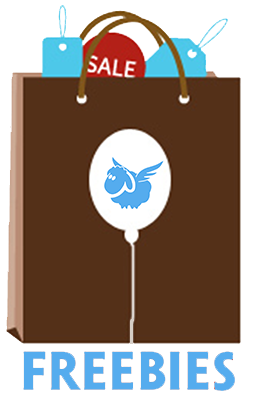 Ready for your next vacation? We sure are! Spectacular ocean views – with views of the Indian Ocean as far as the eye can see, how much more spectacular can it truly get? 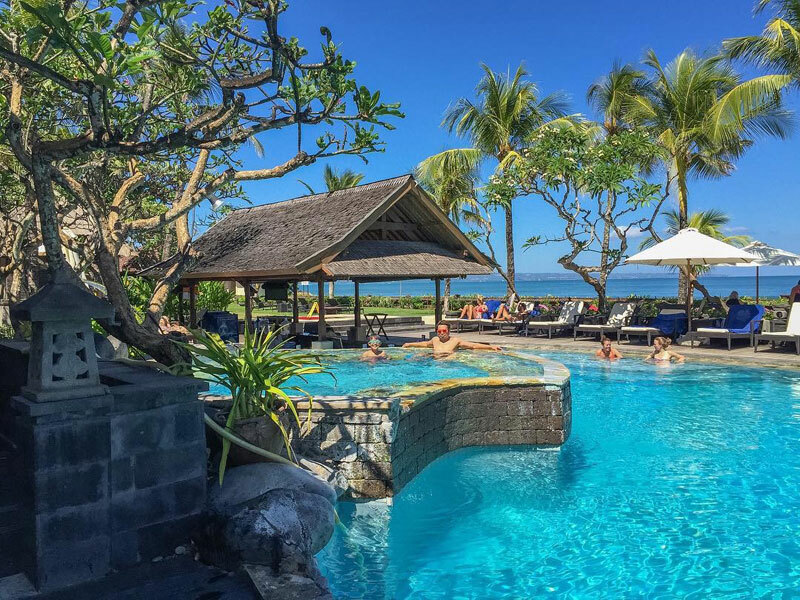 Set in Nusa Dua, Ulu Segara (formerly The Sawangan), is located right along the beach – so you know this will definitely be one amazing beachy getaway. The villas each offer a view of the ocean, and a private swimming pool, so you know exclusivity and privacy can be had here too. With butler service on request, a gym, a library, and more, you honestly won’t have to even leave the premises in order to get the most out of your vacation. 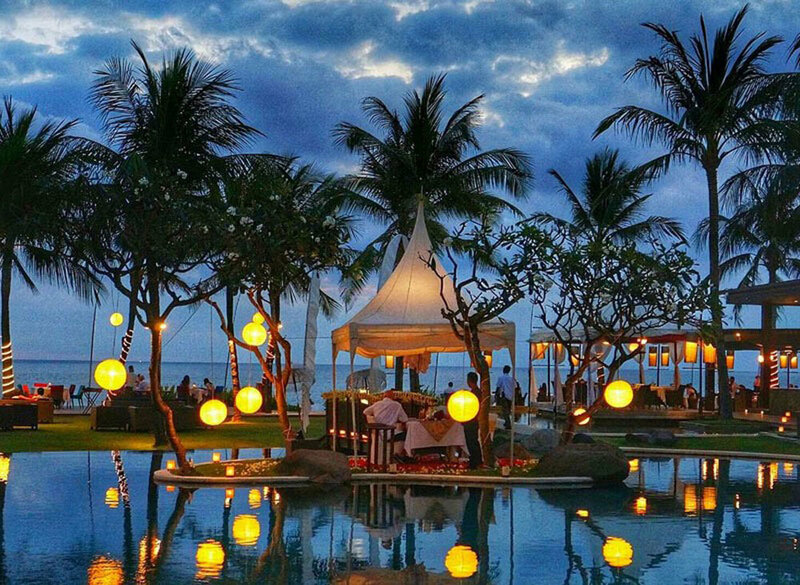 When you’re hungry, dine at Ulu Segara Restaurant & Bar, and look out of the floor-to-ceiling glass windows at the oceanic views of Bali’s southern point. The dramatic landscape will be an amazing conversation starter in itself, along with the delicious food served in big posh settings. Next, make your way to Cawan Pool Bar. The swim-up bar will ply you with frothy cocktails and light treats as you soak up the sun and have a great day just chilling in the pool. And of course, make full use of Solace Spa, and get a nice tan out at the sun deck. 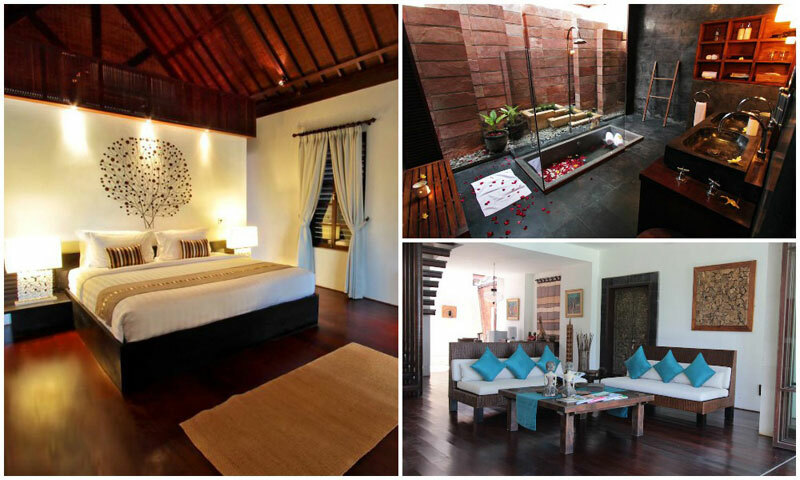 Ulu Segara gives you luxury that’s so simple, it’s simply divine. Read about the romantic dining experience by the Ayung River at Samaya Ubud? 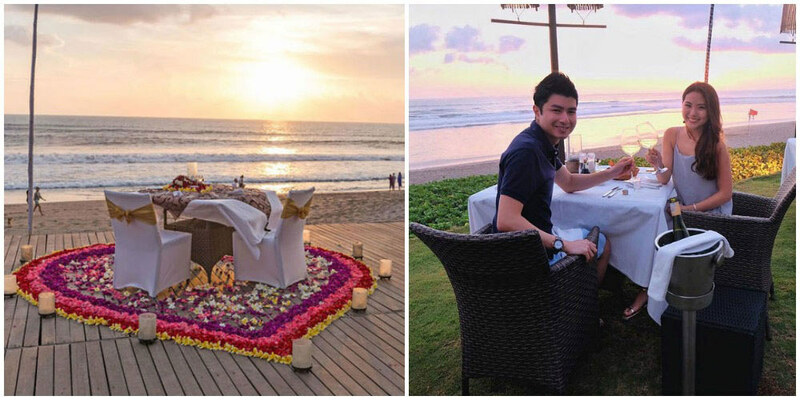 Dining, and staying at Samaya Seminyak is as romantic as it gets. 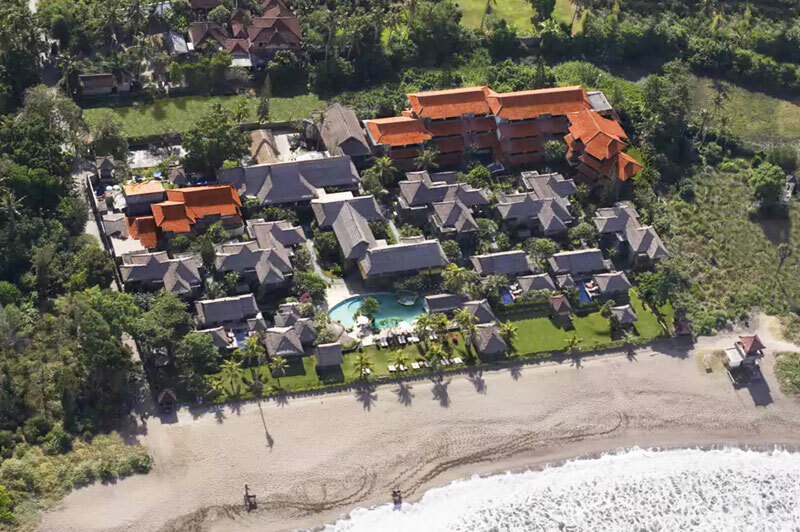 Located by the famous Seminyak Beach, Samaya Pool Villas gives you the best of both worlds – access to the beach, and your very own private lap pool. Exclusivity and privacy are key here, and you may enjoy the your lover’s company in very private, and beautifully chic settings. For starters, take up the complimentary yoga classes available every Monday, Wednesday and Saturday morning with your honey. If you’ve never done yoga before, this will be both an interesting experience, and a great way to bond as you destress and stretch your muscles. Next, enjoy a very romantic, and very private dinner in your villa with in-villa dining – the ultimate dinner date is prepared with a table for two next to the pool with candles gently illuminating the area. Choose from the menu of selections, or ask the Chef to create a personalised menu for the special date, and you’re all set with premium eats and restaurant service quality. Other than that, it also doesn’t hurt that Samaya Seminyak offers 24 hour butler service for an uber luxurious time where your every need and want is taken care of perfectly. 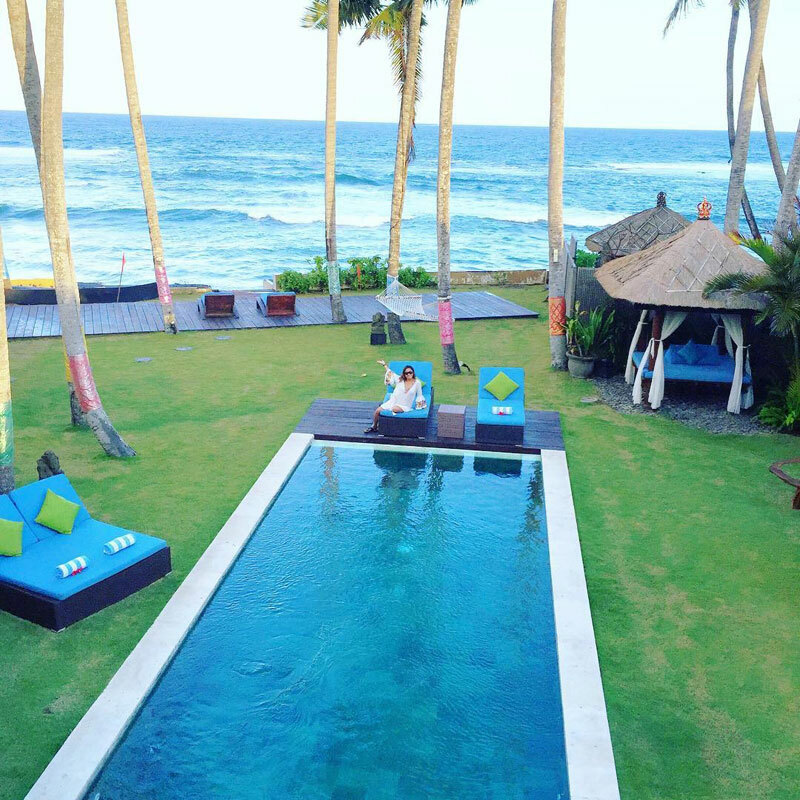 Are there any more luxury ocean pool villas in Bali worth recommending? Comment below to let us know!